Bugs include Salmon Flies, Caddis and March Browns predominantly. Stabilization won’t be for awhile. In between it all, we should have some average to good fishing. The river is big but WORTHY. 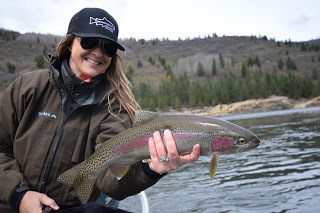 Lots of fish lately….No true giants; But hey, when the average trout is 17-19 inches and there is a realistic chance at an 8 pounder, things are good. 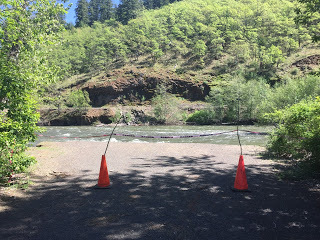 Many of you have already seen images of this, but the below pics are of the launch ramp, or should I say, ‘the lack there of,” at Stinson campground on the Klickitat. The actual launch is gone…. Overall tough conditions. Most likely isn’t going to get better in the near future with the weather pattern we have…..which is warmer then normal. If you are going to fish, the 12 noon to 3 PM time frame is the window…..March Browns are hatching and over the years in this situation we have been able to find some rising fish during the hatch. Prior and post hatch is difficult. 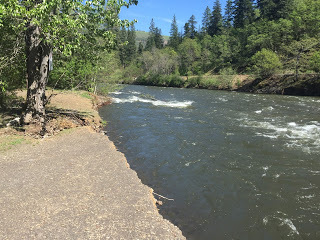 THE RIVER DOES NOT BLOW OUT! 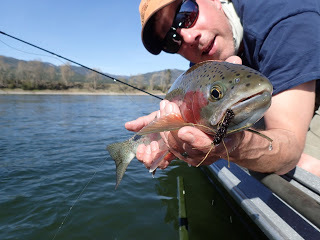 The UC is fishing good with both swing and nymph tactics. 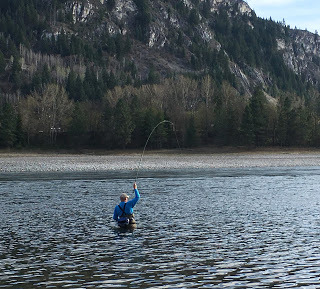 Dry fly fishing is light. Water clarity is 6-7 feet. Light to heavy sink tips based on depth and flow. 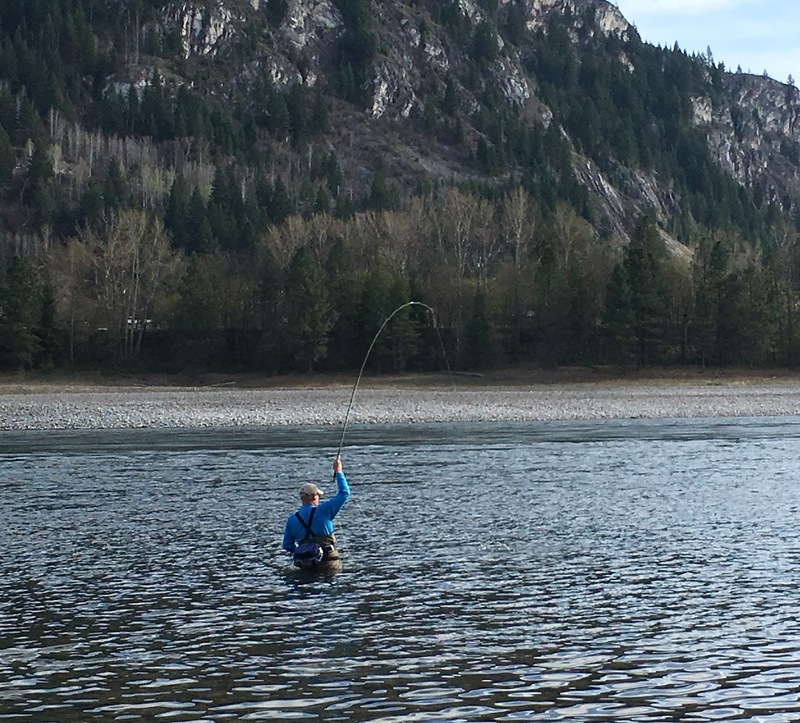 River level is low and in great condition. 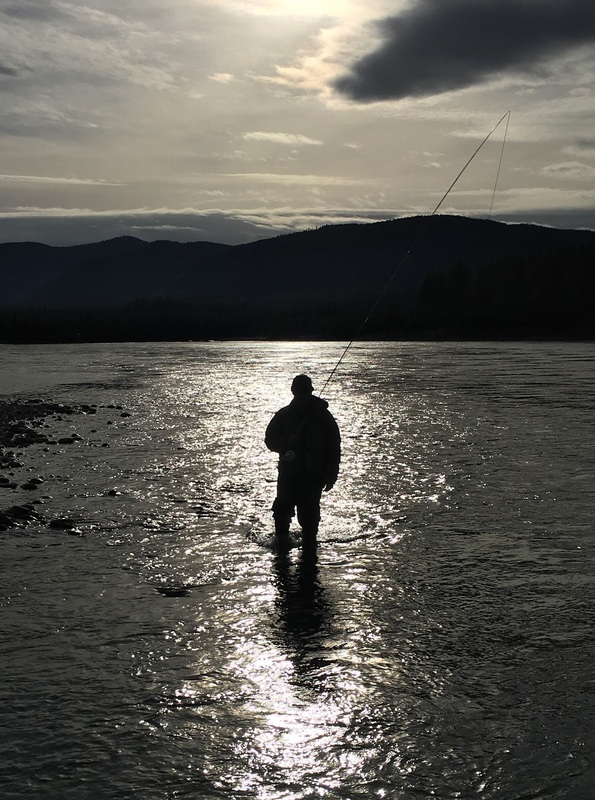 Lot’s of wildlife this past weekend……Deer, Elk, Turkey’s in full regalia and of course some trout.